DOES WATER THERAPY CURE DIABETES? I drink six glasses of water early in the morning. Please help me with full details. Water is very healthy, especially when the source is of natural mineral water. It is good that you start your day by drinking water. This is the best way of giving your body freshness, cleaning it from wastes. Water has no calorie, no fat, no cholesterol, low in sodium; so a perfect way to keep your blood sugar balances. Pure water is the best. However, if you use bottled water, go for natural mineral water. Try to avoid soft drinks (that contain sodium, artificial sweeteners, etc). 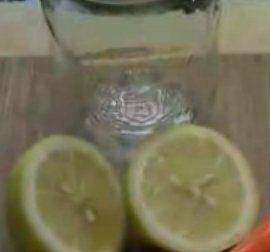 To change the flavoring of water you drink, squeeze one or two fresh lemon in a bottle of 1.5 l of water (do not use sugar or soda) and drink it. Lemon is a source of antioxidants, of vitamin C and helps in urinary and kidney problems (especially kidney stones). One last thing: do not depend on drinking water only. You should consider other (lifestyle) steps such as diet, physical activity, no smoking or alcohol, etc. 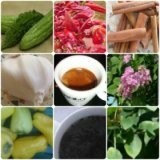 Diabetes is mainly a lack of water, salt, magnesium (found in dark greens) and Tryptophan, an amino acid found in eggs, beans, cottage cheese 4% (cheeses) and nuts. The sequence is drinking water, 1/2 liter and taking .75 grams of salt. You start the salt at .75 grams and after a couple days you increase it to 1.5 grams per 1/2 liter. If the persons eyelids swell or ankles and possibly their fingers, then they would drink water and take no salt until the swelling is gone. When the swelling is gone, they would start the salt again but cut back on the amount. You can mix the salt into the water or just put the salt in your mouth and drink the water over the salt. Another way to take the salt is to put it into a capsule and take it like a pill or you can salt your food very heavily. 1/2 liter is 16.9 oz and .75 grams is 1/8 tsp. A diabetic needs to eat 6 eggs every day. They don't need any insulin for eating eggs. There are no carbs in eggs or cheese. Also any diabetic class 1 (injecting insulin) or class 2 taking a pill, should eat 8-10 oz (226 gm = 280 gm) of green beans before going to bed. The green beans are low in carbs and have enough protein, magnesium and tryptophan to carry the body through the night. Our body works harder at night when we are sleeping then when we are up during the day time. The body will have the liver convert fat to sugar and dump it into the blood stream. Remember: The brain doesn't need insulin to use sugar and there is always an excess of sugar dumped into the blood. Maintaining good glucose levels and preventing further glucose damage may be the best solution. If you would like to incorporate water into your diet. Drink 1/2 your body weight of water in ounces, daily. Example 180 lb = 90 oz. of water daily. Divide that into 8 or 10 oz. glasses and that's how many glasses you will need to drink, daily. Use 1/4 tsp. of salt for every quart of water you drink. Use salt liberally with food. As long as you drink the water, you can use the salt. Adult-onset diabetes is another adaptive state to severe dehydration of the human body. To have adequate water in circulation and for the brain's priority water needs, the release of insulin is inhibited to prevent insulin from pushing water into all body cells. In diabetes, only some cells get survival rations of water. Water and some salt will reverse high glucose levels in adult-onset diabetes in its early stages. Not recognizing adult-onset diabetes as a complication of dehydration will, in time, cause massive damage to the blood vessels all over the body. 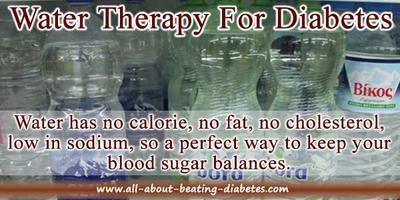 Comments for DOES WATER THERAPY CURE DIABETES?